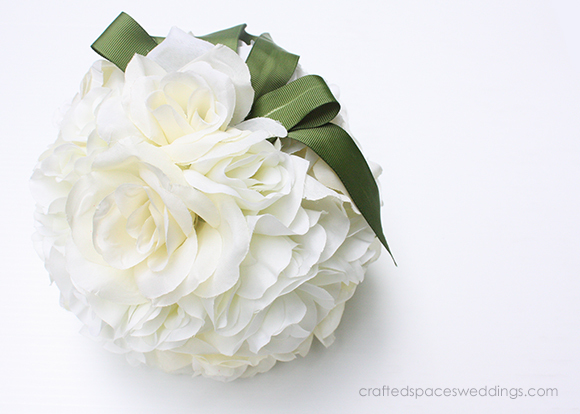 Our project this week is a flower pomander ball. The pomander ball is a favourite for weddings and can be made with a variety of flowers and other materials. 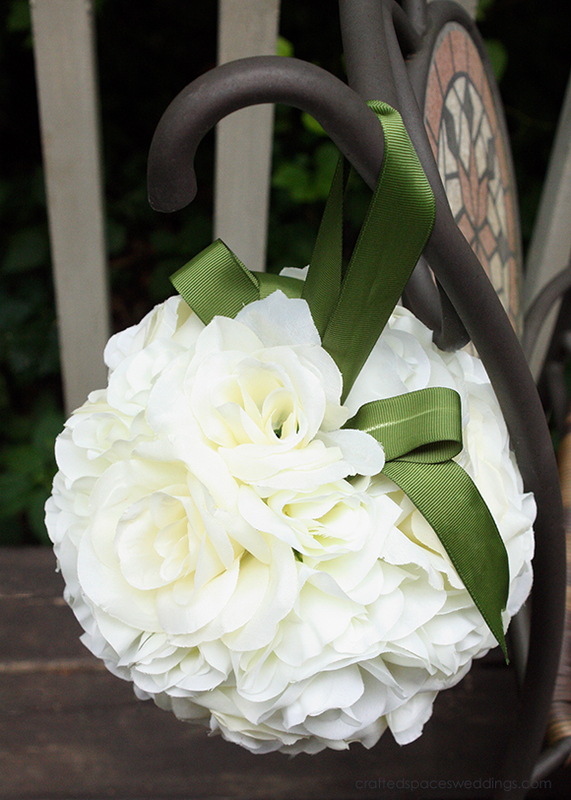 It can be carried by the flower girl, bridesmaids or used as decoration for your ceremony and reception site. I love this white and ivory combination. I think that using one colour and type of flower can be beautiful; however, combining different shades and textures can also make for a very stunning pomander ball. This tutorial uses silk flowers, however the same can be done using fresh flowers. When working with silk flowers you can use a styrofoam ball like the one I used or you can use floral foam. I recommend hot gluing your silk flowers in place to keep them secure. If you are using fresh flowers, you will need to use a wet oasis or wet floral foam. You can use one that is round or you can shape it from a larger piece of foam. You can attach your flowers by sticking the stems into the foam or you can wire them if you feel that your stems need more support.